Scopoderm transdermal patches are applied on the skin to prevent and control travel sickness (motion sickness). Patches are a great alternative to oral pills and are just as effective. Motion sickness causes uncomfortable symptoms including nausea, vomiting, dizziness and the feeling of spinning. 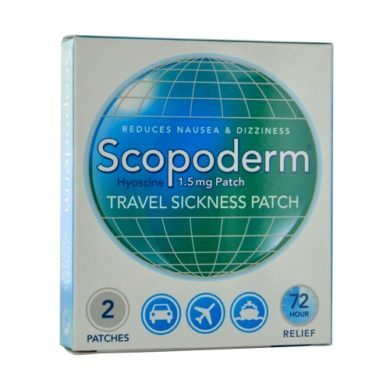 Scopoderm transdermal patches can offer relief from motion sickness for up to 72 hours after applying the patch. If the protection is only for a short boat trip or rollercoaster ride then remove the patch after the event or journey. 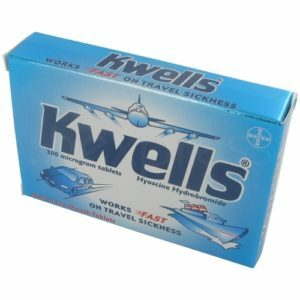 If you are going on a long trip then remove the old patch after 72 hours and reapply a new patch straight away. Scopoderm contains 1.5mg hyoscine, which is an anti-emetic medicine. Motion sickness can occur when the eye communication from what you see informs the brain that the surroundings you see are stationary. However the middle ear balancing organ tells the brain that you are moving. The mixed messages can cause nausea and vomiting and the onset of other symptoms. 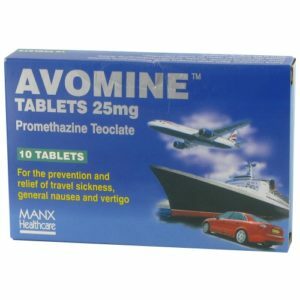 The active ingredient hyoscine blocks these various messages to the brain preventing nausea and vomiting caused by motion sickness. Scopoderm provides the relief you need so you can enjoy your holiday. How do I apply Scopoderm? Scopoderm patches should be applied to a clear, dry area of the skin. Usually this area is behind the ear where there is no hair. The patches are approximately 1.7 cm in diameter. Make sure you always wash your hands after applying the patch to prevent the active ingredient getting into your eyes. It is best to apply the patch 4-5 hours before travelling and then you can leave the patch on for 72 hours. If you are travelling for a longer period, say you are going on a cruise for a week. The patch can be removed after 72 hours and then a new patch reapplied to keep you protected from the onset of motion sickness. Prescription medications can have minor side effects associated with taking them. If you have any side effects from taking Scopoderm that you are concerned with, speak to your doctor about the medication. They may be able to prescribe another medication for you or change the current dose. How can I purchase Scopoderm online? The prescription medication Scopoderm is used to treat nausea and vomiting is available from Loxdoc. To purchase Scopoderm all you need to do is click ‘Buy Now’ on the medication page. You will then need to complete a free online consultation to purchase the medication. Once you have been approved for the medication it will be sent to you within 2 working days from the chemist. It’s always a good idea to purchase medication before you go traveling so you are prepared for any situation.